Doorway replaced - may have been half-house. Facade has nice side lights and pillars.Original entrance doorway surround removed after 1975. Part of Abbot Village from earliest manufacturing enterprises of Smith and Dove Company. Used as mill tenement and later altered into apartments. Abbott Village was established early in the 1800's with an more than adequate source of water to power the mills. Abel & Paschal Abbott moved their wool mill operation here from North Parish about 1813 and had a successful business until about 1838 when the market turned. The mill buildings were sold to Smith & Dove Manufacturing Co. in 1843. 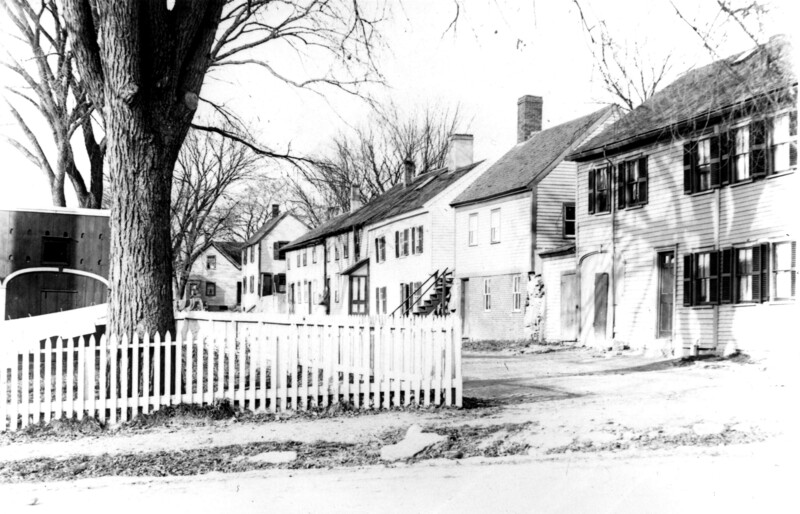 The flax to linen, thread company was established in Frye Village in 1835 (Shawsheen Village) and relocated up river to this location. Smith & Dove recognized the need for operative housing and slowly acquired several homes in the immediate area. They also built quality housing for their working force at 62-84 Essex St. and the double homes on Brechin Terrace. Every home on Baker Lane was once owned by Smith & Dove. The home was owned by Thomas C. Foster in 1850 and was valued at $1900. It included at barn and other buildings $350, 7 acre home lot $650, at 2 acre lot and J. Merrill house value $2100., 12 acre Frye land, 23 1/2 acre Lee land $987 3/4 meeting house lot $300, Farm stock $155 for a total of $6423 and 45 1/4. In both registers of 1860 and 1870 Foster still has the property. When Smith and Dove acquired the property they converted the house into four apartment tenements. The house has 15 rooms, 4 one bedroom apartments. Smith & Dove reorganized and incorporated in 1864 and again in 1912 bringing all their properties together into one deed. 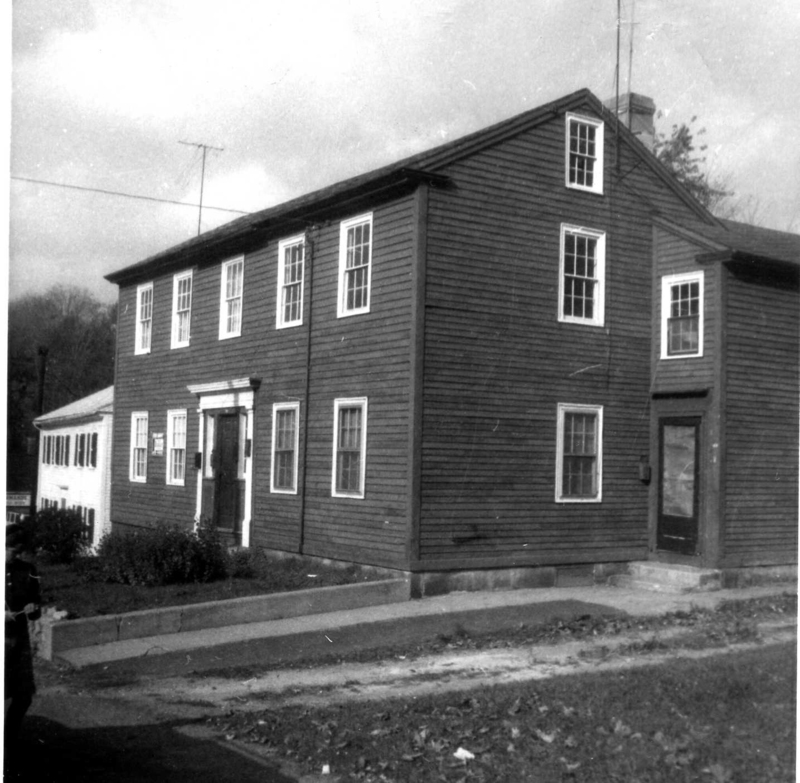 The company supplied their workers with a Village Hall (#77 Essex St.) for community gatherings, and built “Hillside” on Shawsheen Rd. for single women workers; provided childcare service, bowling alley, laundry and large dining room used for meetings and parities. S & D Co. also bought the old Cricket Field for the company soccer, football and baseball teams and sponsored many field day outings for their employees. William H. Skinner conveyed all rights on Baker Lane to John Smith, President of Smith & Dove Co. on May 18, 1850. It was the first of eight properties acquired by the company on the Lane between 1850 and 1918. In 1927 the Smith & Dove Co. was sold to the Ludlow Co. The housing real estate was placed in the Smith & Dove Tenements, Inc. that year, changing the name to Andover Homes, Inc. that were then sold off into private hands. The company operations were moved to Ludlow, MA and the mill closed in 1928. 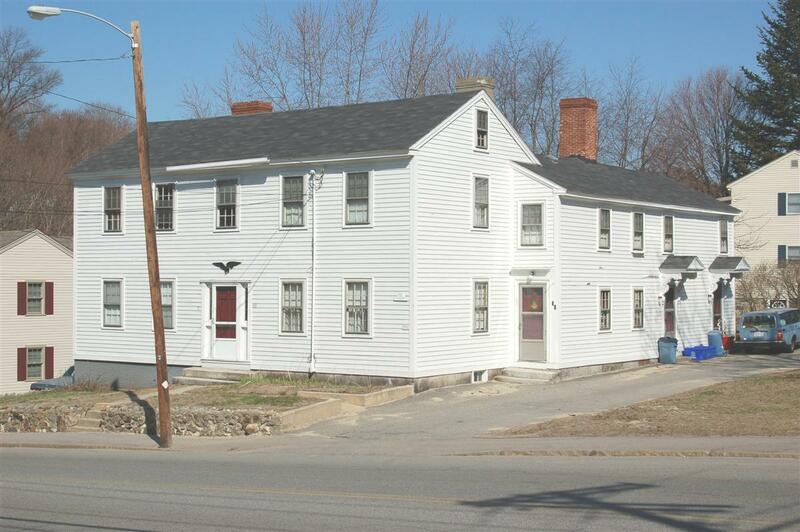 Andover Homes, Inc. sold off the properties and Virgil D. Harrington purchased this house and and #77 Essex St. He then sold both of a month later. #69-71 Essex was sold to John & Jemima Henderson on August 17, 1932. They lived at 64 Red Spring Road. John was a local carpenter and had purchased the former Abbott Village School house on Cuba St in 1892 and moved it to his property, converting it into a workshop. The Hanresons family owned the Foster House until 1967. John died on Feb. 12, 1943 and Jemima died on Dec. 14, 1948. Their daughter Beatrice Henderson kept the income property selling the Rittenhouse Realty Trust on June 19, 1967. Mary Elizabeth Bradley and Fred Bradley were trustees at that time. They sold to Donald I & Barbara Richmond of Andover who purchased the house on in August 1979. The Richmond family also own the apartment townhouse block across the street at 70-84 Essex St. which they purchased in 1960. Their properties are now listed under ARCO Properties. See Plan map #682 - Smith and Dove 1927 also Plan #676 lot #26 on map.